Observation - daffodil - UK and Ireland. Description: a seemingly wild-type daffodil in a garden setting. 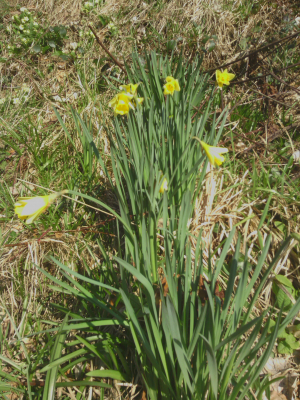 a seemingly wild-type daffodil in a garden setting.